I was given a big stash of nourish! mag by the publishers and I'm giving 20 autographed copies away! I'm going to do a random draw again and to join to join this giveaway, just leave me a comment saying you want the magazine. If not I won't know if you're leaving me a general comment or you really would love to have a copy. It'll be great if you will like their Facebook page too! Entries closing on 28/1/13 Monday 11.00am Malaysian Time. Hehehe.... you know the reason why they give this to me, it's because that I'm in it. Wendy, I want a copy! pls give me 1 too. thanks! Hi Wendy, one for me, please. Thank you so much! Yes! Would love to have a copy, Thank you! Wendy, I would like to have a copy too. We want a copy too.. I would love to have a copy of Nourish! Hi Wendy, I would love to have a copy. Can I have a.copy please? Foremost, congratulations to you! It'll be nice to receive an autographed copy from you. Otherwise, I'll definitely get a copy from the bookstore. 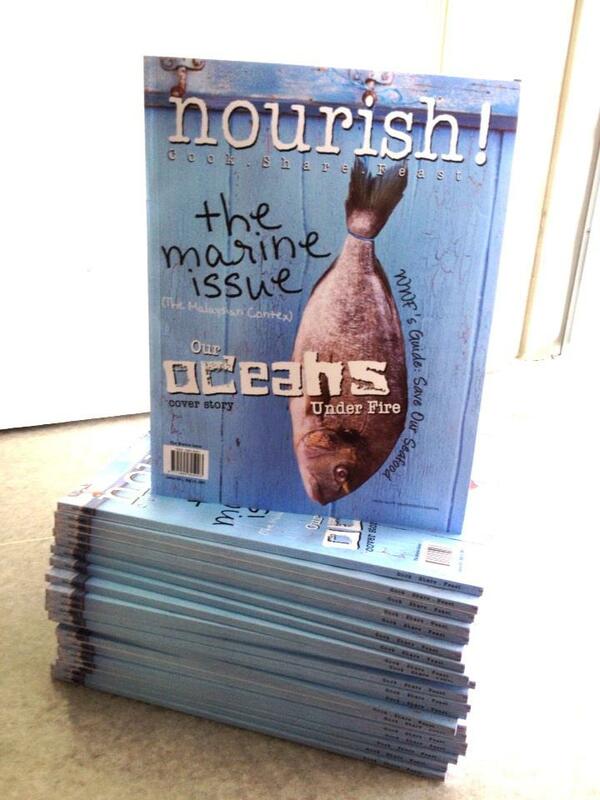 Can't wait to read and know about you more through Nourish magazine. Wendy, One please. Thank you. Give me one ong no. yeah this time around. Hi Wendy , one please. I would love to have a copy, please! Hi Wendy, I would love to have a copy. Many thanks! I'd love to have a copy. Mostly because you are in it and the autograph! Thanks, Wendy! A copy for me too! Thank you. I want a copy please! Love ur blog!! Greetings from New York City!! Yes, I would like to have a copy please..
Hi Wendy. A copy would be great. A chance for me to read the article and get to know you better. Hi wendy, i want a copy!! Hi Wendy, would love to have a copy. Thanks. I'd like to win one to if I'm lucky enough. i wont say no to freebies! One copy for me! Yes Wendy!!! One copy across the causeway pleeeeeeeeeease! Me me! I want one! Thanks ya! I would love to have a copy of the magazine too! Can I have one copy ,thanks. I'd like a copy please. Thanks! Hi Wendy, I would like to have a copy!!! Please!! Thank you!! Wendy,Please dont upset ya?Can u remove the previous comment then.I know it is unfair to comment twice.Take this as the right one.Sorry I was being blur,I WANT the copy.. 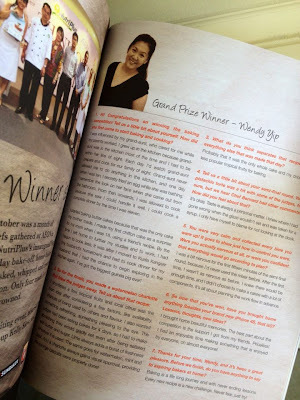 I want a copy too..
Hi Wendy, I would love to own a copy of the magazine 'nourish'. Thank you so much. I want a copy of the NOURISH magazine. Thanks you! Would loovee a copy.. Thks!! I really want it...so please! I like to have a copy too. I would like a copy of Nourish please. Hi Wendy, congrats to you! I would like to have a copy. if u give me one, l will be your friend for life LOL ! You sure are doing pretty well in what you do best, a mum and a great cook. Would love a copy of Nourish, heard so much about it. Hi Wendy, I wish to have a copy too. Thank you. Hi, Wendy, i would like to have one.thanks. Hi Wendy, I would very much like a copy. thanks. ooh, NO!! I hope I'm not late :) * I do want the copy if still availabe. Thank you for the chance, Wendy. Me too! A copy would be great! Oooo one for me plssss!! Wendy,I love to have a copy please. Many Thanks! Hi Wendy, I would love to have a copy of Nourish please. Thanks! Hi, Wendy! Would love to have a copy, please. Love to have one! Thanks a bunch! Hi, i am interested in a copy. Thanks so much. I would like to have a copy. Thank you. 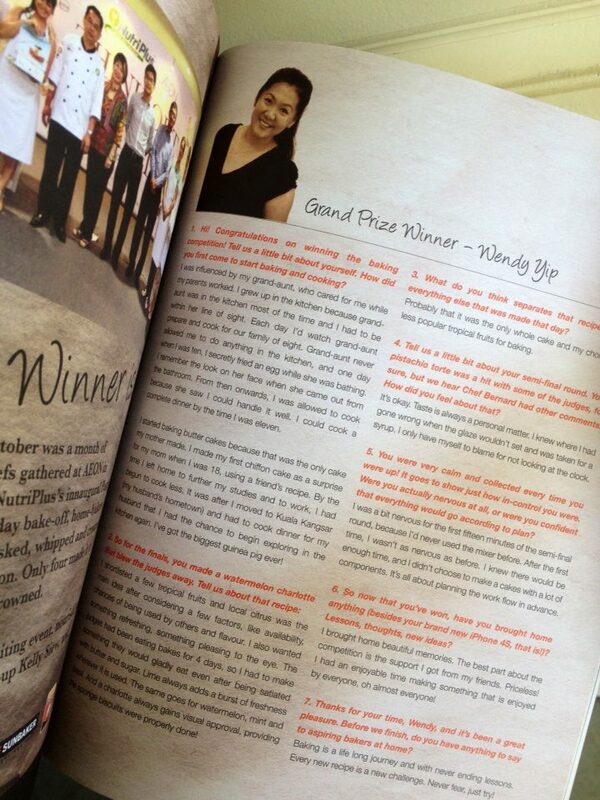 Hi wendy, may i have a copy too please =)...thanks a lot. Hi, Wendy, May I have a copy, please? TQ! Yeah, I would love to have a copy! TQ! Hope I can get a copy from you. It would be great if I get a copy!! I would like to have a copy of the magazine. Thanks! Oh wow, 20 free copies to your readers of your blog eh? Thank you in advance! If I was not selected to have this copy, do you think I can read that page where you were featured in it? Yes...please, I want an autograph copy too..
Hi Wendy, I want this Mag, obviously because you are featured in it. Hi Wendy, I want this Mag obviously because you are featured in it. Entries are officially closed right now!